Waterfall at base of Rincon de la Vieja volcano. HOW WOULD YOU like to see crocodiles up close, in the wild? 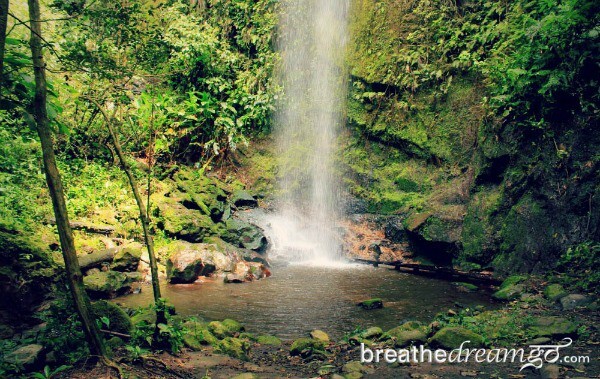 Or go horseback riding to hidden waterfalls at the base of a volcano? Or sink into a natural hot spring, covered in mineral-rich, warm clay? These are just some of the special moments I had on a private guided tour of Costa Rica with Kensington Tours, where I experienced the best of both worlds: the comfort of a luxury, guided tour and the excitement of authentic, cultural and wilderness adventures. Thanks to the knowledgeable help of local experts, I was able to experience a rich variety of special moments and these are my favourites. After driving for an hour down remote dirt roads, we arrived at the Rio Tempisque in Palo Verde National Park, Costa Rica. My guide, Jose, unloaded a cooler, binoculars and a few other supplies from the SUV and we walked the few steps to a small dock, where a boat was waiting for us. Though the boat held about a dozen seats, we had it to ourselves — Jose, the captain and I. I was immediately struck by how unspoiled the park was, truly a pristine wilderness reserve, with no sign of human habitation. We pushed off and spent a couple of hours slowly cruising the river, spotting umpteen lazy crocodiles, several godzilla-like iguanas and countless glorious tropical birds such as egrets, storks, kingfishers and herons. I quickly learned why Rio Tempisque has earned the reputation for being one of the best wildlife and bird watching spots in Costa Rica. Everywhere I looked I saw National Geographic worthy scenes of wildlife in action, crocodiles basking on sand banks, birds with massive wing spans swooping across the water. 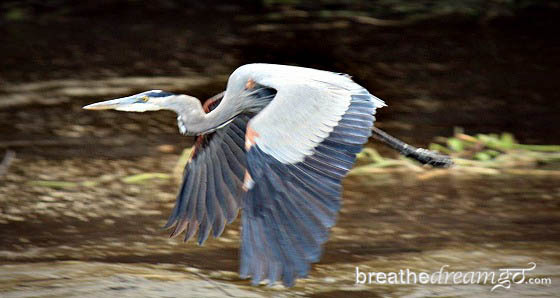 I wore out my trigger finger snapping the best photos of birds and animals I have ever taken. It was the closest I have ever come to feeling like a professional wildlife photographer — a dream realized. 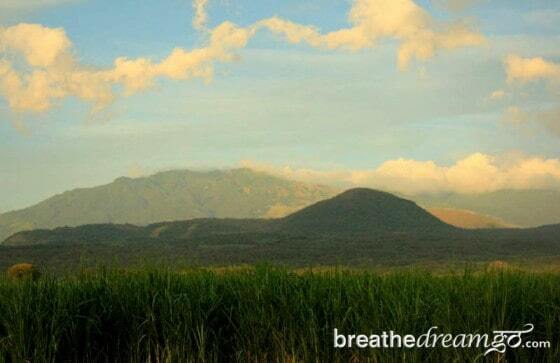 The mysterious and mythical Rincon de la Vieja volcano. At the base of the volcano, we rode horses into the lush, tranquil “women’s corner of the forest.” Our guide led us along a narrow path to a waterfall deep in the think forest. The canopy of trees blocked out the light, and the sound of the water filled the air. Water pooled in a dark circle at the base, where I stood in quiet meditation, breathing the fecund, moist air. With my imagination sparked and my senses alive, I felt the life of the forest and experienced one of those transcendent moments that usually only happen in places of natural beauty. 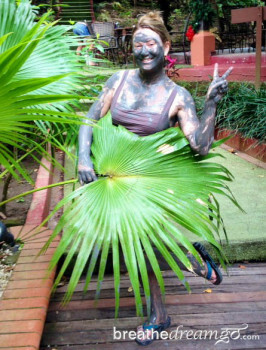 Me, enjoying a mud bath at Borinquen Mountain Resort and Spa. We rode our horses back to the Borinquen Mountain Resort and Spa stables, from where we picked them up, and headed for the spa. The Borinquen Spa is built on a natural hot spring that erupts here thanks to the geothermal activity of the nearby volcano. Literally piping hot mineral-rich water gushes from the ground and fills the air with mist. A natural sauna is built above one such pool, the hot steam hissing up through the wooden floor boards, and a building housing the massage rooms sits above a warm water stream. After a pore-opening steam in the very hot sauna, I slathered myself with rich, warm clay, scooped from the sides of the stream. Then, I chose the hottest of three man-made pools, each holding a different temperature of water from the hot springs. I sank into the pool to enjoy the heat, the sun, the natural environment and the peace. Before showering off the mud, my guide Jose helped me take some fun photos of my “Swamp Thing” look to post online. It was a fun moment, and relaxing too. And my skin glowed for days. 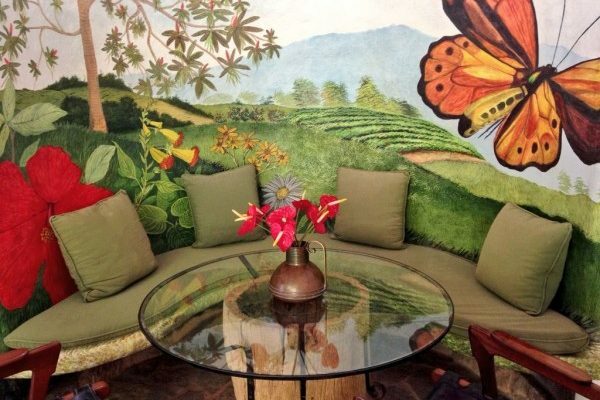 Finca Rosa Blanca boutique hotel and organic coffee plantation. 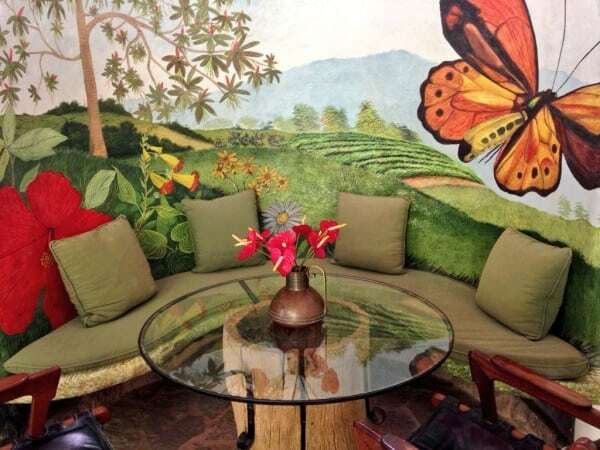 Up we drove, through wildly winding streets, until we reached the elaborate wrought-iron gate of Finca Rosa Blanca, a boutique hotel and organic coffee plantation. I felt immediately that I was entering a different world. The mountain top setting, artfully designed gate and lush greenery, set off with huge tropical flowers, created a unique, whimsical ambience from the first moment. But then I saw the hotel. Imagine Gaudi designed a hotel in The Shire and Georgia O’Keefe painted it. Bold amorphous white shapes covered in murals of flowers bursting with colour. Each room completely unique, like characters in a play, and featuring all sorts of charming amenities. 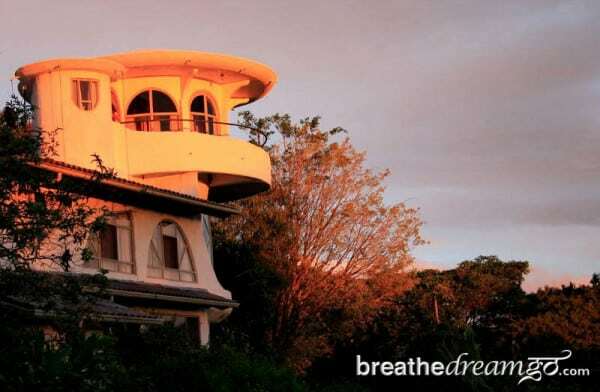 My room had a massive blue-tiled tub with a sky light above it, a mural behind the bed of sun-drenched fields, and a small balcony overlooking an entire valley and mountain range. Dotted throughout the property: a salt water pool with overflowing waterfall; an outdoor restaurant with the same magnificent view; a gourmet dining room ranged around a children’s book fireplace; a hot tub secluded in the jungle; and a walking trail through the coffee plantation. Delights around every turn of the meandering pathways, no straight lines here at all. I soaked up as much atmosphere as I could in the short time I was there, feeling the creativity, the life-giving force of the organic garden and the care owners Teri and Glenn Jampol put into Finca Rosa Blanca. I felt I had found somewhere sacred and magical and I imbibed it fully, until it was time to leave. 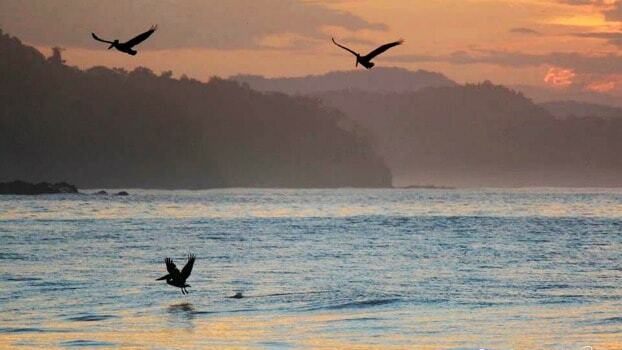 A wonderful last stop on my Costa Rica adventure. While staying in a spacious villa at the lovely Cala Luna Hotel in Tamarindo, I joined the morning yoga class, among the foliage. Under a simple awning and surrounded by luscious, tropical gardens, it was easy to breathe deeply and enjoy the tranquil setting. Distracted only by bird songs and the sight of butterflies lighting on bright flowers, I found myself feeling very peaceful and at one with the natural environment. The delightful experience continued with a healthy breakfast by the glistening turquoise pool afterwards, and then a long walk on the rugged nearby beach. It was the perfect way to start a perfect day in paradise. 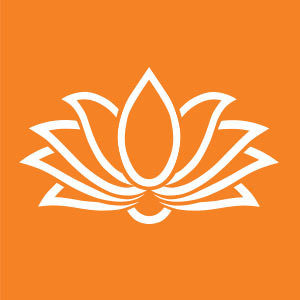 Breathing deeply, and with consciousness, is an essential element of yoga and it really helps when the air you breathe is pure and richly oxygenated. 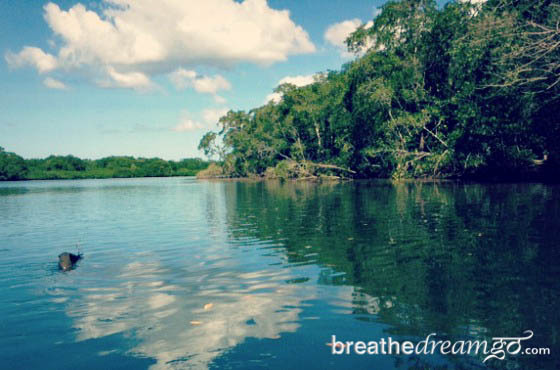 This is no doubt one of the reasons there are many yoga classes and retreats all across Costa Rica. 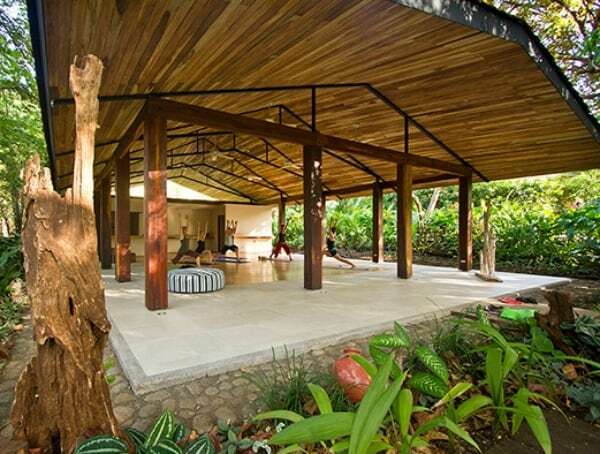 The Cala Luna lists their upcoming yoga retreats here, and you can contact Kensington Tours to find out about private guided yoga guided yoga experiences in Costa Rica and around the world.